Pete Carroll’s post-game interview was one for the ages . He should consider himself lucky he wasn’t the coach of the Colombian national soccer team because by now his head would have been in a goddamn noose, while also having been castrated for good measure . It was total nonsense. The more he spoke the more ridiculous he sounded. Sometimes it’s just better to fess-up, admit what you did, and move on. It was his OC Darrell Bevell who made the call however, and so Carroll was just covering for him. Carroll is the head coach, is he not ? He does have the final say , doesn’t he ? If you’re going to overrule your coordinators, then why have them in the first place? As much as Pete Carroll was seeking to defend Darrell Bevell , his explanation was still idiotic and without merit . 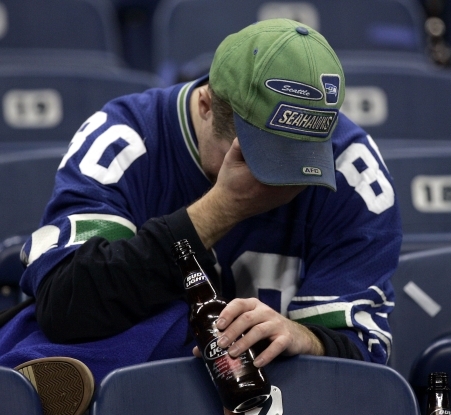 With apologies to Mark Cuban…you cannot throw the ball where Seattle threw the ball. Bottom line. The Super Bowl was theirs. Until it wasn’t.